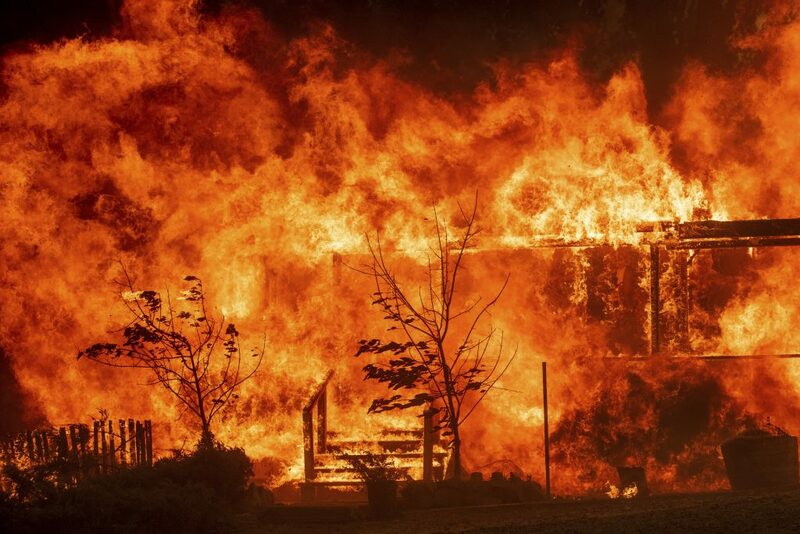 The devastating Carr fire in Northern California continues to ravage the countryside, nearing — if not already surpassing — 100,000 acres, destroying at least 874 buildings and, even more tragically, killing six people with seven other people unaccounted for. To the southeast, two men — one a firefighter and the other a bulldozer operator — died fighting the 57,000-acre Ferguson fire near Yosemite National Park. There were 15 other fires raging elsewhere in California, including two fresh fires forcing evacuations in Mendocino and Lake counties. And it’s not just California that’s burning. As of Monday morning, at least 90 large fires were reported nationwide, all in the West except for a blaze in Florida. Such fires are nothing new in this part of the country. But the fire season this year has begun much earlier than usual, and while scientists warn that specific weather conditions cannot be tied directly to climate change, these are just the sorts of impacts we have been warned to expect from a warming planet. In fact, prolonged drought is a major factor in the current fires. Years of drought, broken by a rainy 2016-2017 winter followed by an unusually dry winter last year, have left the countryside covered with dead or dormant plants. All of that organic material is kindling and fuel for an errant spark or a bolt of lightning. As the world continues to burn fossil fuels for energy, and climate change becomes more pronounced, we have to recognize that this isn’t nature just doing its thing. We have through our actions endangered ourselves, a reality we must recognize and rectify as quickly and forcefully as possible. Part of the responsibility falls on state and local officials, who must deal with the rising cost of fire prevention and suppression. Local planners and developers can also do more to consider wildfire risks as they make land-use decisions, and we need to adopt policies that make it easier to develop urban areas at higher levels of density. But to get at the root of the problem we must more radically reduce our dependence on fossil fuels for energy and transportation. The Trump administration’s “burn, burn, burn” approach to fossil fuel is no help on that front. The evidence of the horrible impacts is right before the nation’s eyes, yet the administration is looking at ways it can undo California’s efforts to reduce carbon emissions from motor vehicles. We must not lose sight of the fact that we can mitigate some of the dangers we face in the future by acting now. We just need the political will to do so.